Today’s guest blogger is Kirsten James, Water Quality Director at Heal the Bay. Recently seven sperm whales breached off the coast of Italy and died soon thereafter. A report out of Tuscia University found that the guts were filled with plastic debris and that this was the cause of death. This is by no means an isolated incident. Our oceans are full of plastic pollution. Prop. 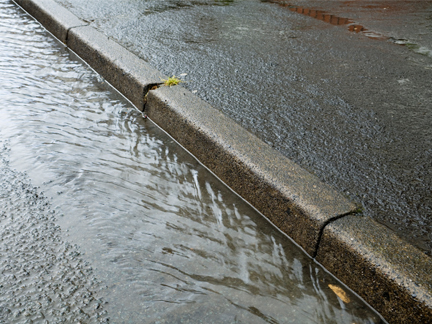 218 is indirectly leading to millions of dollars in rain-related property losses. Apartments and homes in San Pedro flooded with two feet of water. Cars on Long Beach streets nearly submerged as an urban kayaker paddles by. Residents in La Crescenta living in perpetual fear of losing everything due to debris flows as a consequence of the Station Fire. 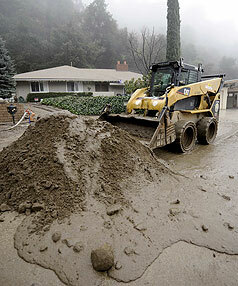 The end result of this week’s L.A. storms will be millions of dollars in property losses. And what is anyone doing about it? The news documents the heroic efforts of first responders to minimize impacts, but these efforts provide small-scale solutions. They don’t address the large-scale flood control infrastructure improvements needed to protect property throughout the state. Local government officials are doing what they can, but thanks to Proposition 218 their hands are tied. They can’t do much more unless two-thirds of the voters support a stormwater fee increase. Two thirds — that’s the super-majority needed to protect life and property. There is something horribly wrong with that calculus. Ask the hundreds of people evacuated near the Station Fire or the victims of flooding in Long Beach or San Pedro. Government is there to protect life and property, except from flooding thanks to the narrow wording of 218. The L.A. Board of Public Works' LID ordinance is a giant step in the fight to reduce runoff pollution. 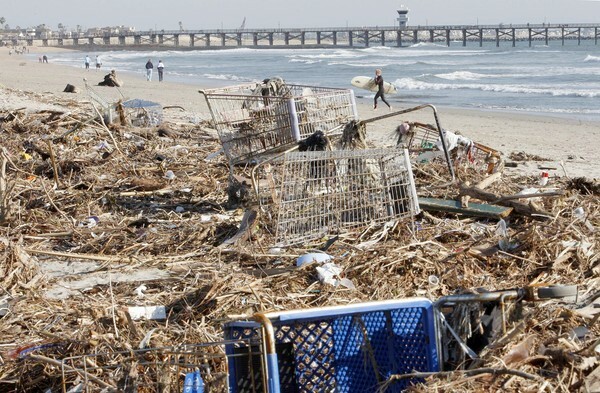 Jan. 15, 2010 is the day that the Los Angeles Board of Public Works enlisted the help of the development and business communities and homeowners to green L.A. and clean local rivers and beaches. The cost of clean water is high and we all need to do our part to reduce runoff pollution. The newly adopted Low Impact Development ordinance is an equitable approach to reducing runoff and will help the city keep down the cost of compliance with water quality standards. The board unanimously approved the draft LID ordinance, which requires 100% of the runoff generated from a three-quarter-inch storm at newly constructed homes, larger developments and certain redevelopments to be captured and reused or infiltrated on site. If compliance is infeasible on site, developers can pay a stormwater pollution mitigation fee to help pay for off-site public LID projects like green streets and alleys. Support came from diverse parties, including the Green L.A. Coalition, the L.A. Chapter of the American Institute of Architects, NRDC, local business leaders, the Sierra Club, the Los Angeles Chamber of Commerce, local developers, Heal the Bay, the Assn. of Professional Landscape Designers, the Santa Monica Bay Restoration Commission, the Regional Water Board, neighborhood councils, TreePeople, local gardeners and many other individuals and environmental groups. An incredibly impressive group realizes that LID is a cost-effective way to reduce runoff pollution, augment local water supply, and green L.A.
Majora Carter keynoted the "State of the Bay" event, sharing tips on how to green the jobs sector. The Santa Monica Bay Restoration Commission hosted a daylong conference yesterday on the overall state of the bay. The well-attended event at LMU blended science and policy, focusing on such topics as marine debris, climate change, invasive species, contaminated fish risk communication, beach water quality and marine protected areas. The high points of the day included an overview of the well-written State of the Bay report, which chronicles the status of various bay water quality and coastal resources. Mas Dojuri, the director of the city of Los Angeles’ Environmental Monitoring Division, and Rich Ambrose, a marine ecology professor from UCLA, made a compelling presentation that showcased reductions in sewage solids to the bay and improved summer beach water quality. The scientists also highlighted the current state of bay watershed habitats. 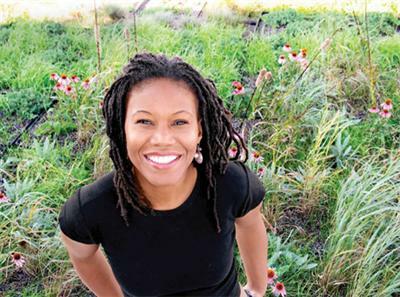 The lunchtime keynote speech from Majora Carter, one of the nation’s foremost environmental justice leaders, inspired the crowd. She gave an impassioned speech on the need and way to green even the most blighted urban environments.The founder of Sustainable South Bronx emphasized the need for community involvement to successfully green education and job programs. Gov. 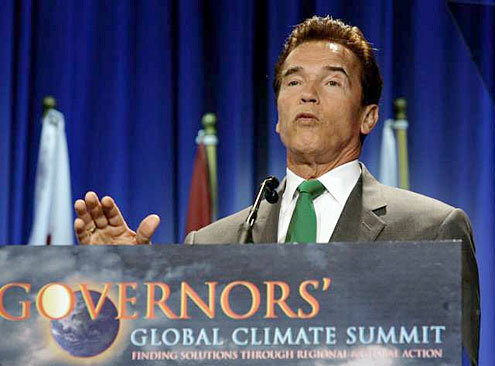 Schwarzenegger gave his State of the State speech yesterday. A pretty depressing topic, to be sure. However, he did rightly focus on the need to improve California’s education system. His most powerful statement asked, “Why are we spending more on prisons than education?” Why indeed. His speech came amid the state’s bid to get hundreds of millions in federal “Race to the Top” funds to implement educational reform legislation that includes greater performance accountability. But lost in the week of state education focus was the California Board of Education’s unanimous vote to approve 76 units of multi-disciplinary environmental education curricula. The units have been completed under the auspices of state Sen. Fran Pavley’s Education and the Environment Initiative (AB 1548). The approval marks the birth of formal, public school environmental education in California. Fast-track city approval of a Stream Protection Ordinance in 2010. The Department of Public Works has spent three and a half years working on a stream protection ordinance. Based on Watershed Protection Division analysis, there are approximately 462 miles of riparian habitat that would receive some level of protection under the draft ordinance. Council districts 11 (Rosendahl), 2 (Krekorian), and 12 (Smith) all have over 60 miles of habitat, while 11 out of 15 districts have at least 12 miles of habitat. The ordinance would protect the city’s remaining stream habitat by requiring development buffer zones of 100 feet for soft-bottomed habitat and 30 feet for concrete-lined channels. We need to start treating streams like habitat rather than flood control channels. Unfortunately, the ordinance has been frozen in the mayor’s office for over two years. 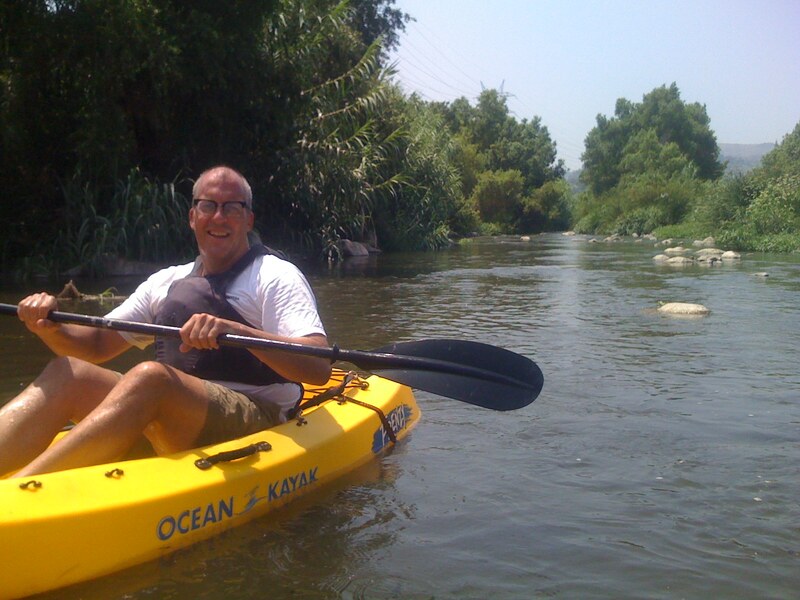 If the mayor says he wants to protect L.A.’s streams, the ordinance would likely sail through City Council. Unfortunately, the ordinance is not on the mayor’s radar. Mayor Villaraigosa can accomplish three major green goals if he stays focused in 2010. Last year marked a difficult time in Los Angeles and 2010 promises to pose even greater challenges due to an unprecedented fiscal crisis. Mayor Antonio Villaraigosa’s promise to make L.A. the cleanest, greenest major city in America has a long way to go, but I really believe that the Mayor’s powers of persuasion and expert use of the bully pulpit can lead to tangible environmental improvements by the end of his second term. Without the mayor’s leadership, major policies and projects often fall into a state of suspended animation. The Los Angeles Times today published a piece about the mayor narrowing his focus at the beginning of his second term to ensure greater follow through on promises. 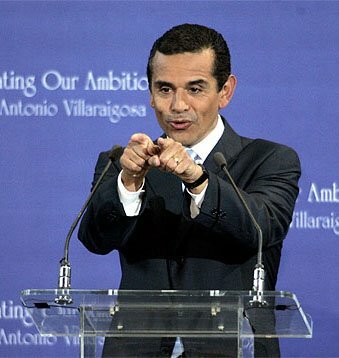 When Villaraigosa sets his mind to a specific issue, it’s amazing how quickly things can move, e.g. renewable portfolio standards, support for Measure R, the green port program and the promise to get off coal by 2020. However, a great deal more needs to be done to meet his lofty green city goals.